When it’s a Good Time to Get a Locksmith? Perhaps, you have issue with your lock or you lost the only key to your car, and you ask yourself; when it’s a good time to get a locksmith? In general, calling a locksmith can save you a lot of time and frustration, not to mention the job is done right. There are many reasons why you may need a professional help of a locksmith. 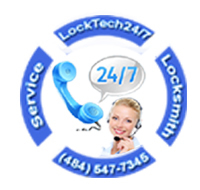 We are at LockTech24/7 can assure you will be satisfied with the final result of our locksmith service. Whether you need to get a locksmith in an emergency or by scheduled appointment, we’re here to help. Don’t hesitate to call our service phone number, day or night. You Solve the problem in no time. The job is done correctly and efficiently. The highest quality of car keys, locks, and security hardware. Are You in Need of Mobile Locksmith? As for today, many locksmith companies provide mobile locksmith services. You no longer need to bother yourself to a local locksmith shop. With this in mind, LockTech24/7 provides mobile automotive locksmith, residential locksmith, and commercial locksmith services throughout the Lehigh Valley, PA. In fact, this is a better way to serve you. In this way, we can find weaknesses of your house or business. With an intention to keep you safe, we can recommend the best way to secure your premises. However, we can perform any locksmith requirements on-site whether small job or a big task. Call us for a free consultation, if you have some questions on your mind, we would love to answer all your question. We’re available 24hr a day 7 days a week, including weekends and high holidays. Are You in Need of Emergency Locksmith? We offer 20 mins response time from your first call until one of our technicians arrive on site. You no longer need to wait a long time for an emergency locksmith to arrive at your location. 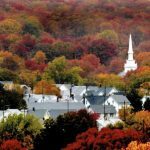 We are the fastest locksmiths in the Lehigh Valley, from Allentown through Bethlehem, Easton, and the surrounding area. When you need an emergency locksmith, you better call us than sending an email. You can call us day or night because we’re working around the clock, 24/7 emergency mobile locksmiths. If you think because we are working 24 hours a day that we charge extra money, so you are wrong. 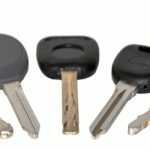 We don’t charge extra for emergency locksmith services, as well as weekends and high holidays. Our prices stay the same all year long, day and night.